According to the Daily Mail, Foxconn workers are required to sign agreements saying they will not commit suicide. The Chinese manufacturing company, which is responsible for a significant amount of iOS devices, has been tied to may sordid reports of overworked staff, and four years ago an employee committed suicide after an iPhone 4 prototype in his care went missing. He unfortunately was not the only such casualty, and shortly thereafter a handful of Foxconn workers also took their lives. The plant has become synonymous with its workers strife, and within the last two years has seen 14 employees commit suicide and various others attempt to. One died of exhaustion after a 34-hour shift. Earlier this year, with bad press mounting, Apple investigated the facility for its Supplier Responsibility progress report. COO Tim Cook even made the trip, and Apple executives sought to “better understand the conditions at the site.” According to the report, Apple instituted various policies to improve moral, such as a 24-hour care center, counselors – even securing nets around the building to prevent future suicides. All that, and apparently a no suicide agreement. Foxconn workers sign pledges saying that will not commit suicide, and that if they do their families can only seek minimum damages (there has been concern some workers commit suicide to secure money for their families). Despite Apple’s attempts to improve the plagued facility, a recent investigation claims conditions are as harrowing as ever. 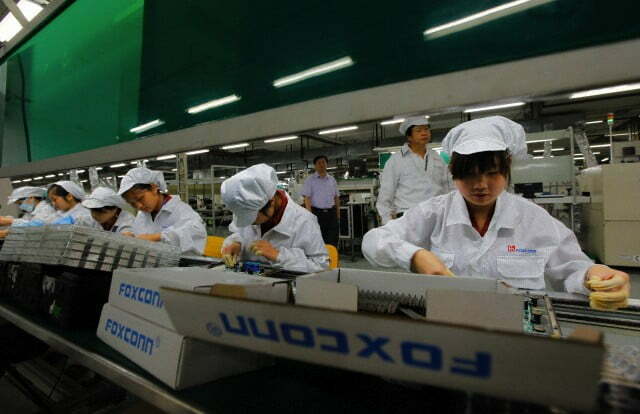 A study from the Centre for Research on Multinational Companies and Students & Scholars Against Corporate Misbehavior revealed Foxconn’s treatment of its employees: Workers cannot speak to each, work massive amounts of overtime, cannot visit their families, and are humiliated if they do not meet standards, among other things. According to the report, the increasing demand for iPads and iPhones has made factory life all the more demanding, as workers struggle to meet higher and higher production targets. This isn’t the first time Foxconn has made recent news: Last week, three of its employees were arrested for allegedly leaking an iPad 2 prototype.